Hello! So I said on twitter that I wasn't really in a great mood and not to expect many posts from me and to not expect them to be too good! I have been feeling really down again. Meh. Anyway! 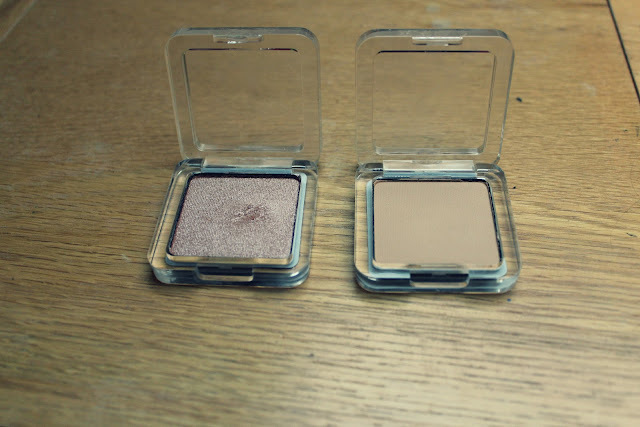 Enough my fun life, this is just a quick post to tell you about some eyeshadows that I have been loving lately! "Cami" - This shade is a beautiful shimmery shade! (I'm rubbish at describing colours so that's the best you're going to get! Haha!) 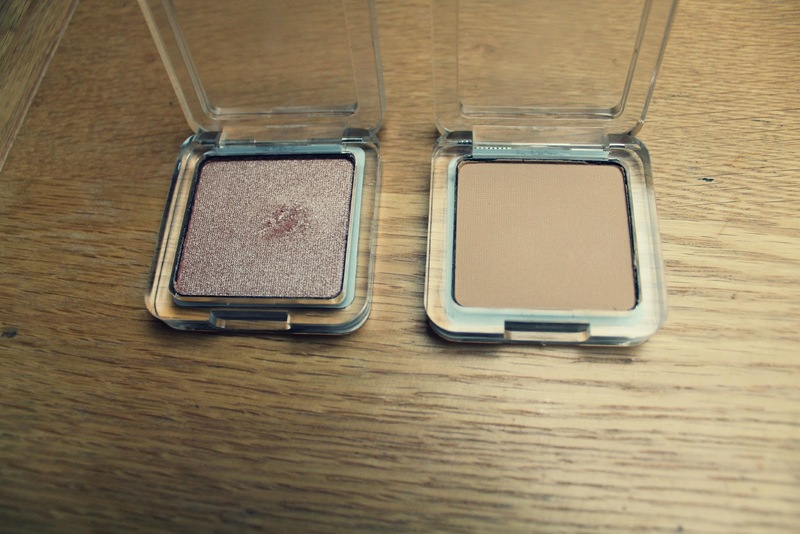 It is so pigmented and I am absolutely in love with the colour! I used this today with a dark brown in the crease, it blends really nicely and is really soft! "Bare" - This shade matches my skin colour almost identically! I have wanted a shade that matched for ages as I feel naked without eyeshadow on and I wanted one I could wear when I did winged eyeliner. When I wear dramatic winged liner I tend to go for not much else on the lid! This colour was hard to swatch as it is pretty much the same colour as my skin! My hand looks really weird and it looks like I have 100000's of hairs on my arm. Hmm! Cami on on the top and Bare underneath. (if you can see it!) They last really well and I have not noticed any creasing, which is crazy as my eyeshadows usually ALWAYS crease! I really want to go back and get more of these, at the moment in superdrug they are half price, so they are £2 rather than £4. I think they are amazing and I really want to buy every single shade! Not even kidding! Haha! I had never really thought Look Beauty was going to be that great and I was very skeptical but I am absolutely LOVING so many of the products! Have you guys tried any of the Look beauty products? lovely natural colours, great blog! Cami is my favourite!! I always wear it in my 'inner corner' or whatnot! awww honey, i know its not the same but i kind of feel like this when i get my periods, i get really bad pmt and just feel really down for no logical reason at all. I hope you start to feel better soon darling.